Kerry Stephen Van Helden, 63, of Rochelle, IL passed away on September 11, 2018. Born on September 22, 1954. Son of William and Bonnie Myers of Thayer, MO; married Tammy L. Barber. 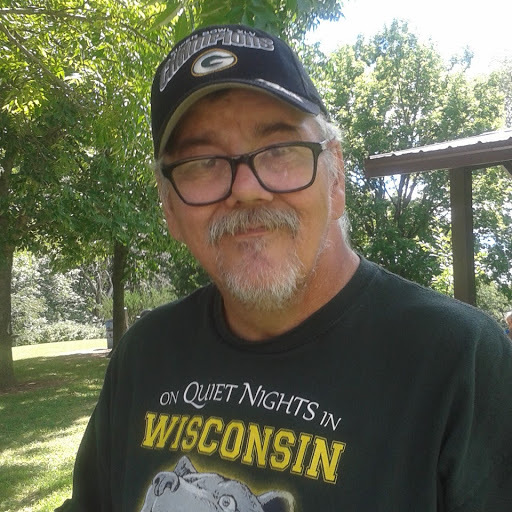 Kerry enjoyed his computer games, camping, canoeing and watching football with his brothers-in-law, mostly when Packers and Bears played....Go Packers Go! Survivors include parents, William and Bonnie Myers; his wife of 34 years, Tammy; two sons, Jeremy (Laura) Barber and Dylan Van Helden; one grandaughter, Brooke; two grandsons, Nolan and Jeremy, Jr.; three sisters, Yvonne Vazquez of Oregon, IL, Teresa Smith of Thayer, MO and Lisa (Hide) Hague of Waxahachie, TX; one brother, Karl (Cindy) Myers of Phoenix, AZ; several nieces and nephews; several great-nieces and great-nephews; mother-in-law, Iona Barber of Poplar Grove, IL; three brothers-in-law, two sisters-in-law. Predeceased by maternal and paternal grandparents; father, Harold J. Van Helden; brother, Kevin P. Myers. Memorial Visitation will be from 6:00 to 8:00pm on Friday, September 14, 2018 in Honquest Family Funeral Home with Crematory, 4311 N. Mulford Road, Loves Park. In lieu of flowers, donations can be made to his family.